The Wasatch Mountain Range features some of the best downhill skiing venues in Utah and a range of other activities and attractions, located just west of Park City. 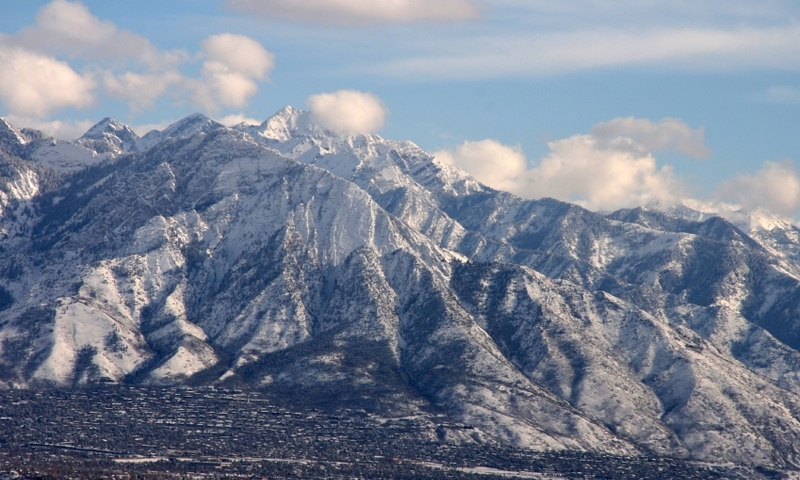 The Wasatch Mountain Range spans 160 miles north to south between the Great Basin Region and the Rocky Mountains. During winter, enjoy downhill skiing at top-notch resorts including Sundance, Alta, Brighton, Solitude, and Snowbird. Hike, mountain bike and rock climb during summer. Cross-country ski or snowshoe in the backcountry. The Wasatch Mountain Range runs north and south, dividing the Great Basin Region to the east and the Rocky Mountains to the west. Several dramatic, glacially-carved peaks punctuate the landscape near the 11,000 feet range. The tallest peak, Mount Nebo, sits at the southern end of the range at 11,928 feet. Plenty of snowfall makes this range a prime destination for downhill skiers. Alta, Snowbird, Brighton, Solitude and Sundance Ski Resorts are all located here. The Wasatch Mountains also boast excellent rock climbing, hiking and mountain biking. The Wasatch Range runs for 160 miles north to south from the southern border of Idaho and Wyoming down into central Utah. The range is just west of Park City and can be accessed via I-80, UT-190, UT-189 and UT-92. Downhill Skiing/Snowboarding – Here you’ll find some of Utah’s big-name resorts including Sundance, Alta, Brighton, Snowbird and Solitude. Most resorts feature equipment rentals, food, accommodations, and other activities including snowshoeing, cross-country ski trails, and tubing parks. Cross-Country Skiing/Snowshoeing – Break new trail in the wilderness or head to Soldier Hollow Nordic Ski area for several groomed loops on the 2002 Olympic Course. Hiking/Mountain Biking – Thousands of hiking and mountain biking trails cut through the range's state parks and national forest. Try a rigorous trek up to Logan Peak, located in the Bear River Mountains of the Wasatch Range in northeastern Utah. Camping – Set up your tent near the peaks for a chance to the morning sun rise over the mountains as you sit snuggled up in your sleeping bag. Nature Viewing – If you love to see wildflowers blooming in summer you should definitely visit Little Cottonwood Canyon during July and August as several rare plant species are found in the canyon’s Albion Basin area. You might even spot a mountain goat! Rock Climbing – Little Cottonwood Canyon is also a great place to test your rock-climbing skills. Begin with the steep, quartz outcroppings located in the lower third of the canyon. Fishing – Grab your rod, reel, net and dry flies or lures and head up into the Wasatch Range for some peaceful hours of alpine lake or stream fishing.